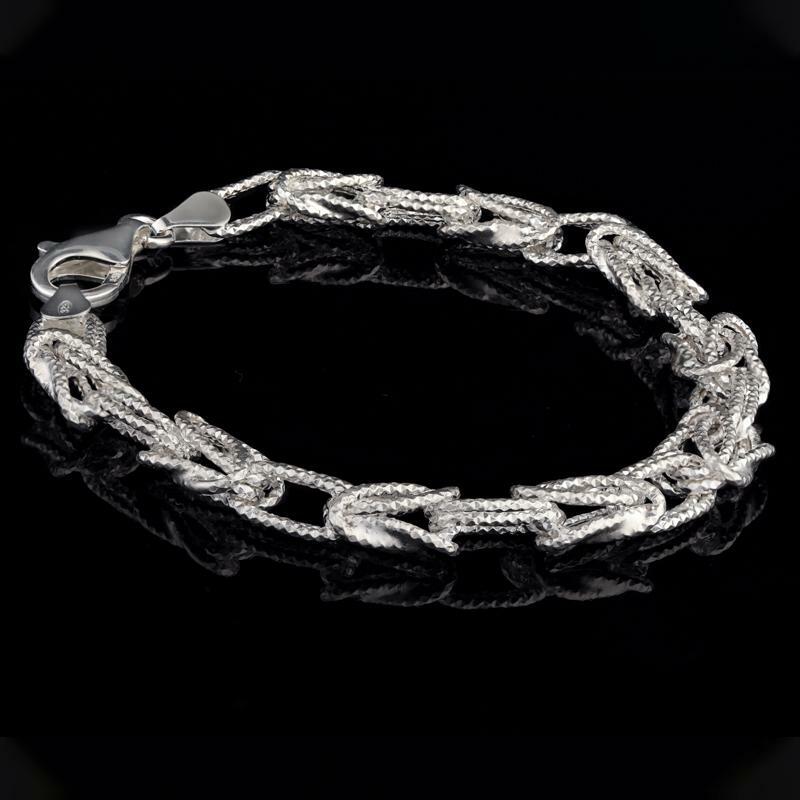 Italian silver is defined by much more than a type of metal. Italian silver is defined by a rich history of design and craftsmanship. It’s a guarantee that hundreds of years, generations of artisanal talent, and a national commitment to bold, intricate designs have all combined to produce something special. The three pieces in the Prima Bracelet Collection are a perfect example of the brilliance of Italian design. 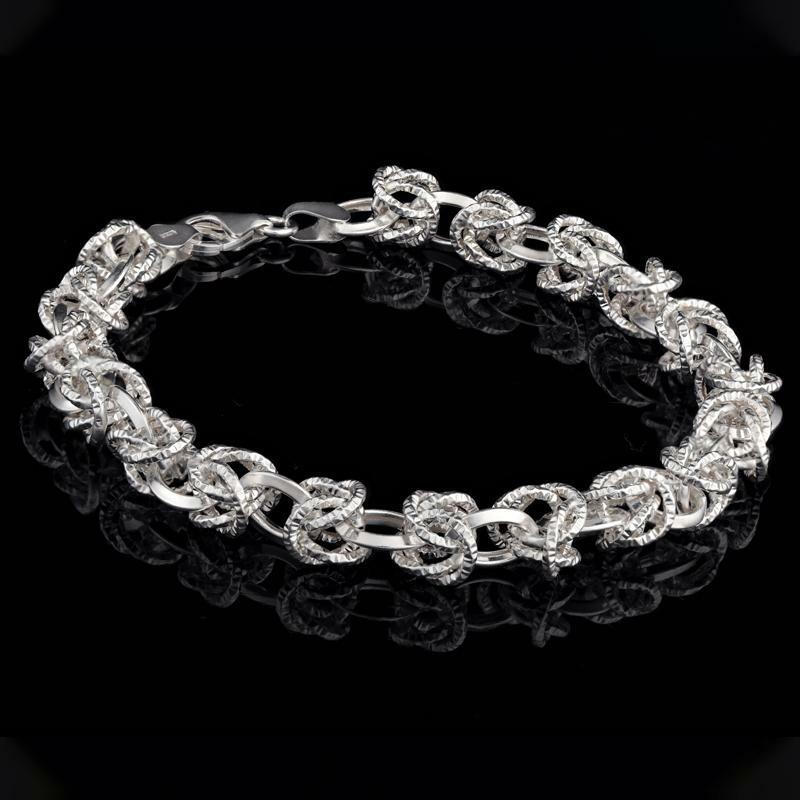 Made with .925 sterling silver— THE standard for high-quality jewelry, no matter the country— each bracelet takes a Byzantine pattern as its starting point and then adds a stylish twist. 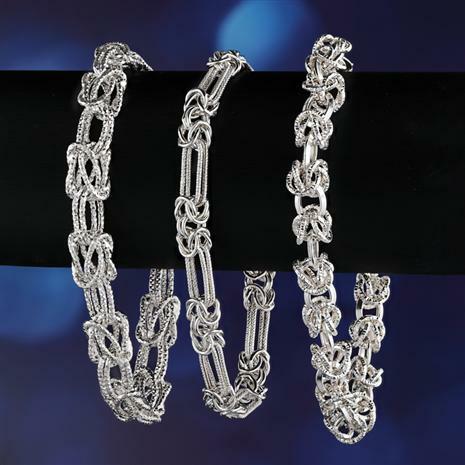 Byzantine patterns are incredibly detailed, featuring multiple links that allow the chain to be both flexible and graceful, as well as possessing an enjoyable intricacy. 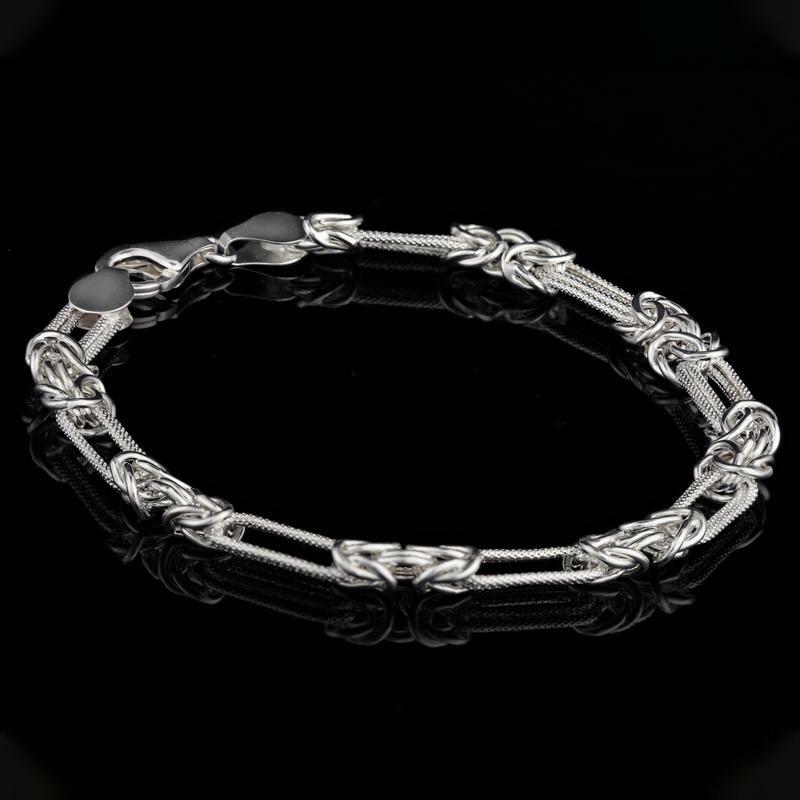 With the Prima Bracelets, our Italian designers have combined Byzantine links with other classic links like Figaro and cable. Each is a triumph of Italian design that we swore to deliver to our customers at an affordable price. An incredibly affordable way to wear these beauties in the popular layered fashion.